This is a rectangular Opaline porcelain sign. This particular Opaline sign is white with red and green print. 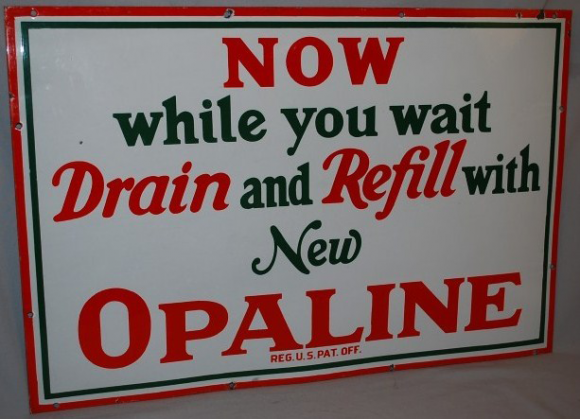 It reads, “Now While You Wait, Drain and Refill With New Opaline” and features a green and red striped border.